This policy was last updated on September 9, 2016. You have a choice as to whether to provide Dansko with any Personally Identifiable Information. If you chose not to provide Personally Identifiable Information, Dansko will not be able to, in many cases, complete a transaction or respond to your questions and some portions of the Website may not be available to you. Due to the business-oriented nature of our business and the Website, the Website is not designed to appeal to anyone under the age of 18. We do not knowingly request or receive any information from children. make a record of your visit and log your IP address, the date and time of your visit to the Website, the pages accessed and any documents downloaded, and the type of browser used. Dansko may also combine information about you that we have with information we obtain from other parties to enhance our ability to market to you those products that may be of interest to you. In addition, Dansko may hire other companies to perform services on our behalf such as operating certain aspects of the Website or sending you email. These other companies may be supplied with or have access to your Personally Identifiable Information for the sole purpose of providing these services to us or on our behalf. Though we will make every effort to preserve user privacy, we may need to disclose Personally Identifiable Information when required by law or if we have a good-faith belief that the action is necessary to comply with a pending judicial proceeding, a court order or legal process served on Dansko or to protect our rights or the rights of others, to fight fraud, identity theft, to ensure the integrity and operation of our business and systems, or to protect the rights, property or safety of Dansko, its employees, members or others. Dansko may collect and store details of how you use our services, including search queries to help improve the relevancy of results provided through the Website. If Dansko does combine aggregated data with Personally Identifiable Information the combined information will be treated as personal information for as long as it remains combined. Dansko will never disclose any Personally Identifiable Information as part of this aggregated data but may lend, sell, share or otherwise disclose aggregated data to or with others so we can perform research and provide the results to third parties, enhance and market the Website, and conduct accounting and process record keeping functions. We may include links to other websites that we think will be of interest to you or operated by our business partners, affiliates, advertisers, and others. These third parties have separate data collection and privacy practices independent from ours, and Dansko cannot be responsible for their policies or activities. Please contact those third parties directly if you have questions about their privacy policies. In addition, the Website includes third party content (such as social features or map information) and this content may set "cookies" (as described below) on your browser and/or obtain information about the fact that you visited the Website from a certain IP address. Third parties though cannot collect any other personally identifiable information from the Website unless you provide it to them directly. Additionally, we may use IP address information to count and track aggregate visits to Website, to help diagnose problems with our server, and to administer the Website. Dansko does not link IP addresses to anything personally identifiable so while a particular user's session can be tracked, the user remains completely anonymous. 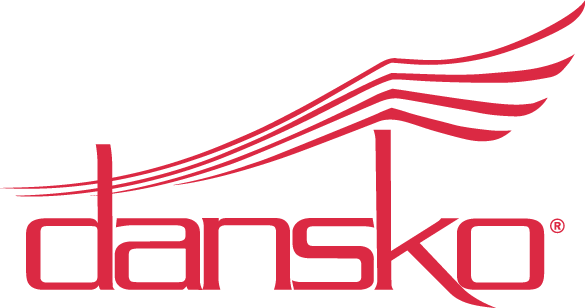 Dansko uses Google Analytics, a web analysis service provided by Google. For more information on Google Analytics, please visit Google Analytics. And the terms of service for Google Analytics are available here. Dansko does not currently have an online method for users to delete their Personally Identifiable Information contained in our database. However, you may change or update the Personally Identifiable Information we have collected, request that we delete it (unless Dansko is required to retain it by law or for legitimate business purposes), or request that we change how we use it by sending an email to privacy@Dansko.com with your instructions. Please note that this deletion may otherwise impact prior transactions performed on the Website. This Website has industry-standard security measures in place to protect the loss, misuse, and alteration of the information under our control, and we make good faith efforts to store your Personally Identifiable Information in a secure operating environment. Unfortunately, no data transmission over the Internet can be guaranteed to be absolutely secure. As a result, while we strive to protect your Personally Identifiable Information, we cannot ensure or warrant the security of any information you transmit to us, and you do so at your own risk. If Dansko provides you with a user name and password to access portions of the Website or as part of your subscription, Dansko disclaims any responsibility for a breach of privacy as a result of your willingly or inadvertently disclosing your user name and password to others.